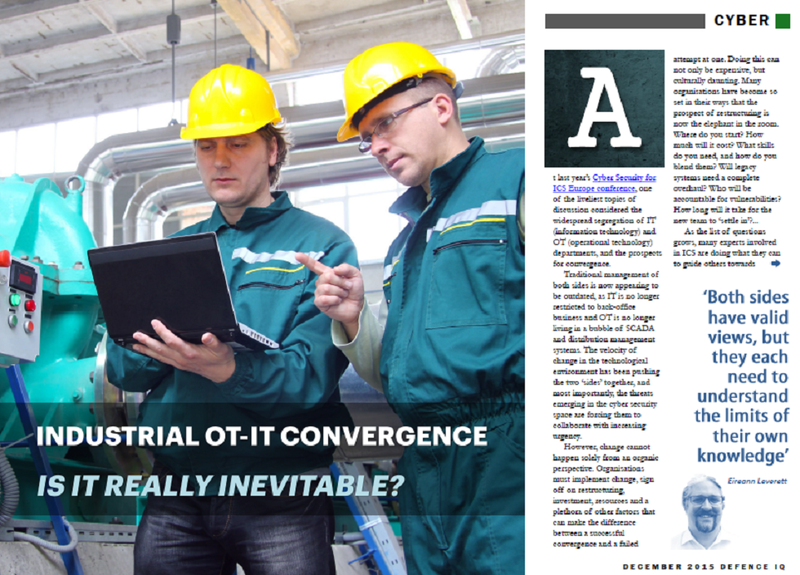 OT-IT Convergence: Is it Really Inevitable? One of the liveliest topics of discussion considers the widespread segregation of IT (information technology) and OT (operational technology) departments, and the prospects for convergence. Traditional management of both sides are now appearing to be outdated, as IT is no longer restricted to back-office business and OT is no longer living in a bubble of SCADA and distribution management systems. The velocity of change in the technological environment has been pushing the two ‘sides’ together, and most importantly, the threats emerging in the cyber security space are forcing them to collaborate with increasing urgency.